I just had to share this picture with you. Our amazing metalsmith Ahmed always sends us the most beautiful jewelry in the most interesting of packages. 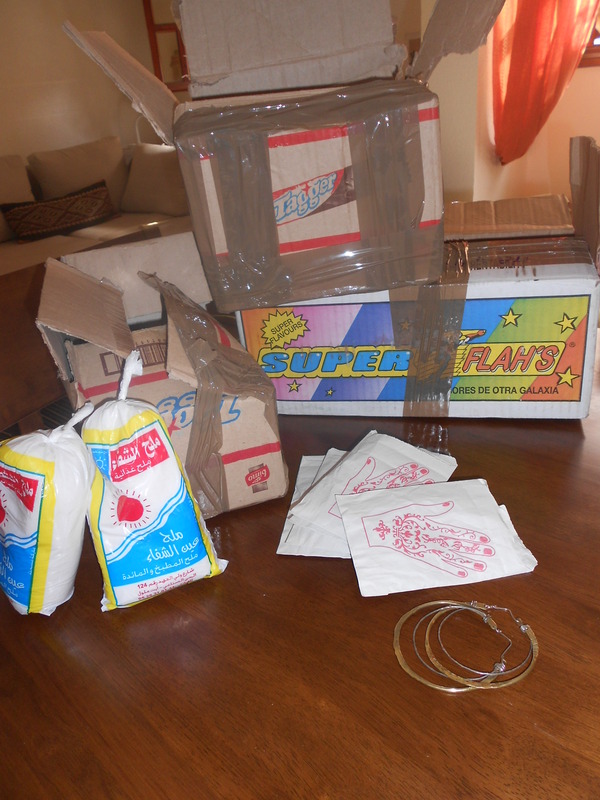 Here is what arrived today…a box within a box within a box taped toegther, 2 bags of salt to weigh the boxes down. 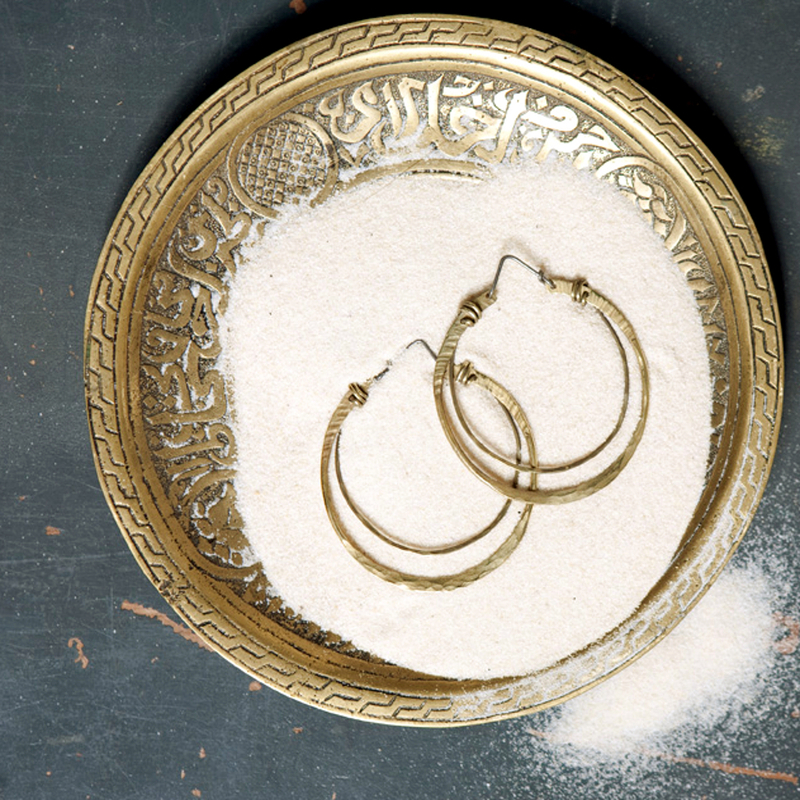 And inside cute ‘hand of fatima’ paper bags…a whole new order of mixed metal rings and Mushmina hammered hoop earrings. Thanks Ahmed. You never disappoint! ← Life begets life. Energy creates energy.